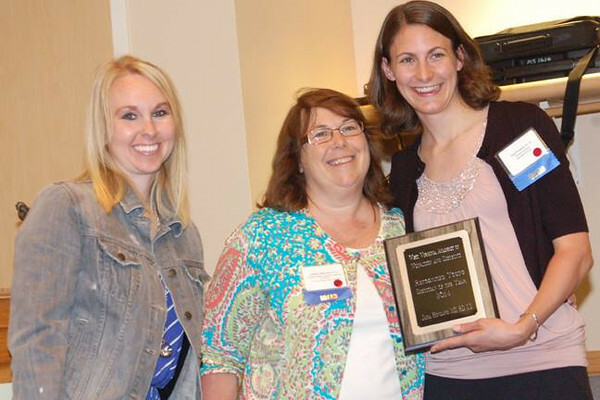 Jana Hovland (far right) received the 2014 Outstanding Young Dietician Award at the annual WVAND state conference. Hovland serves as director of the Marshall University DPD program and as a member of the National Nutrition Month committee for WVAND. With her in the picture are Mallory Mount (left), scholarship and awards chair for WVAND, and Sharon Maynard of the American Dairy Association Midwest.